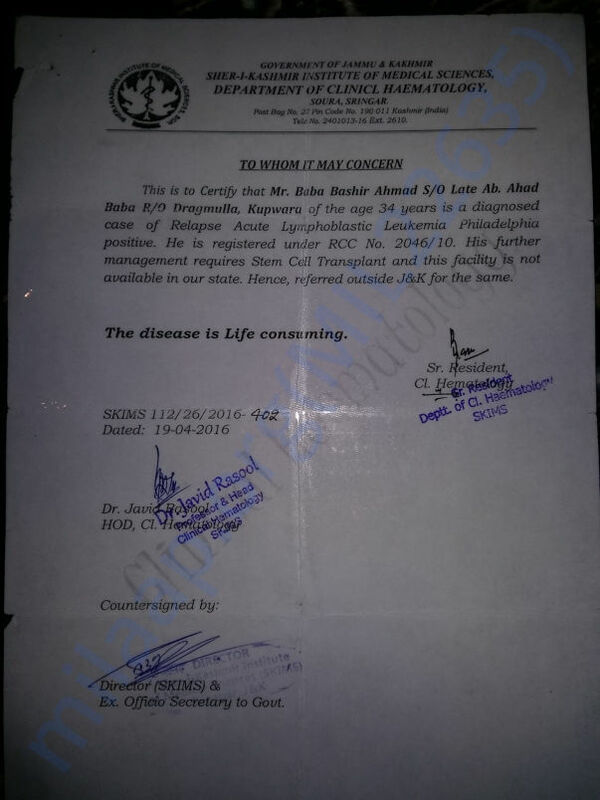 Bashir Ahmad Baba, 36 years old and a father of two is suffering from life threatening disease of blood cancer (ALL-L1). 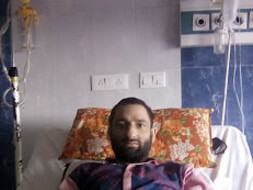 In 2010, after two months of marriage bashir developed severe kind of fever and body ache and was admitted in a local district hospital, where he was transferred to the kashmir’s leading govt. hospital and was diagonosed with cancer. 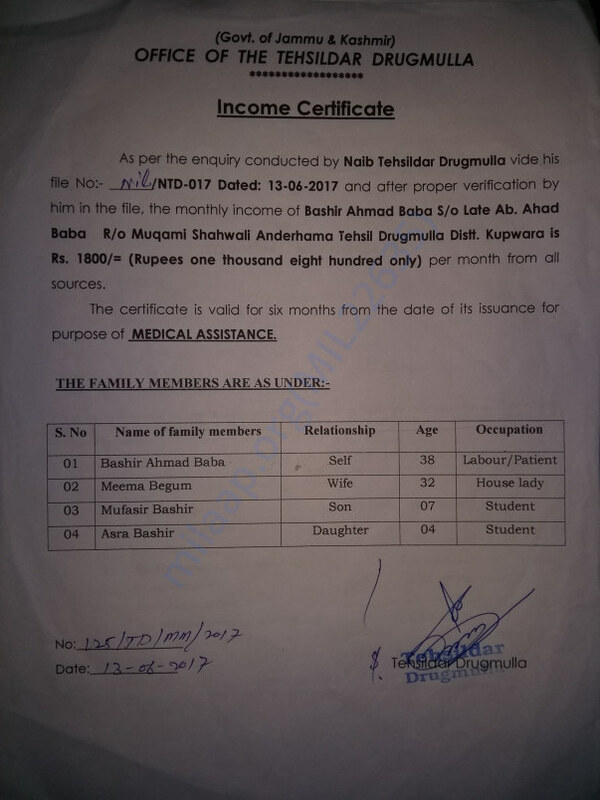 He belongs to very low income family who could hardly manage to run family’s basic needs.Bashir was the lone bread winner for his family and managed to bear the expanses of chemotherapy by selling his land and some of money was contributed by local NGO for his treatment. 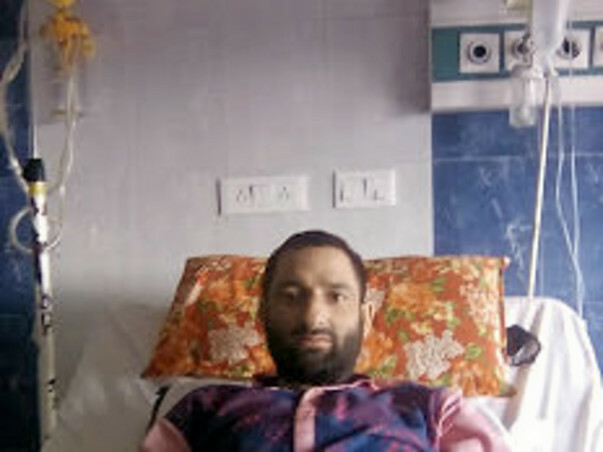 But it was no more better for Bashir when he was told by doctors to go outside the state foe treatment and bone marrow transplant (BMT) which costs him more than 12 lakh rupees . 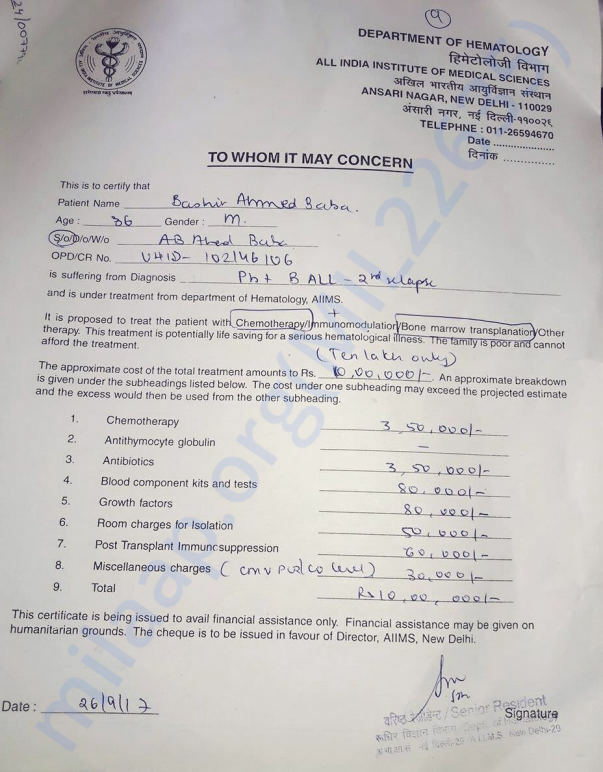 Bashir is really a poor human being and needs your help and may become thankful to you for contributions.Let’s help Bashir to come out of such a huge sorrow.